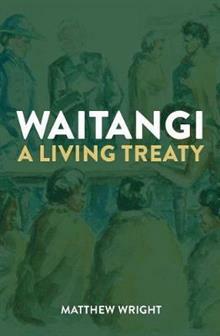 Acclaimed historian Matthew Wright explores the evolution of New Zealand's most historically significant document, the Treaty of Waitangi, from its origins to its place in the present day. From the early cultural collisions between Maori and Pakeha that led to this landmark agreement, to the many reinterpretations that have followed, Waitangi: A Living Treaty brings the story and concepts of the Treaty to life in this revealing and thought-provoking read. MATTHEW WRIGHT is one of New Zealand's most published historians, with his work receiving both academic and popular recognition. He has written over 50 books, including a significant general history of New Zealand, a major biography of Donald McLean, and books on the New Zealand Wars, the evolution of New Zealand society, and the social impact of the First World War. He is a Fellow of the Royal Historical Society at University College, London.